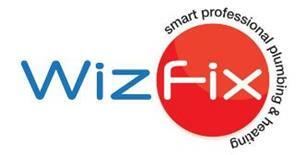 Wizfix Heating Ltd - Central Heating Engineer based in Croydon, Surrey. Wizfix Heating is a family-run business with a strong focus on quality, reliability and the highest professional standards. We take the time to ensure every single job we undertake meets the highest possible standards, and we promise to leave you with a warm, comfortable environment – domestic or commercial. We have been providing quality heating and plumbing services to Central London and the surrounding areas since 2015. We’re available 24/7, 365 days a year, offering a complete emergency breakdown service. Whatever your schedule and whatever your needs, we’ll work with you to find the best possible solution. Wizfix Heating is available 24 hours a day, seven days a week, which means we can be on-site and working no matter the time of day, no matter the time of year.